Need a digger? Too big a job to do by hand? 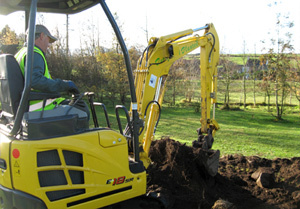 Too small a job for a back hoe excavator? 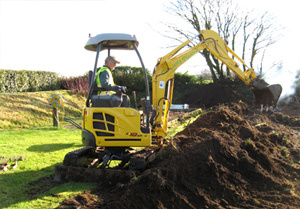 We have a small 1.8 tonne digger which is ideal for small excavations whether digging foundations, making a pond, or landscaping. "A small compact machine it is capable of accessing small gardens and driveways." please feel free to ring for a price. 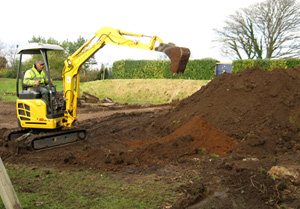 We offer digger hire in many areas including: Mini Digger hire in Gosforth, Holmrook, Egremont, St Bees, Beckermet and surrounding areas.